My Chambre Comforter Set is super sophisticated! 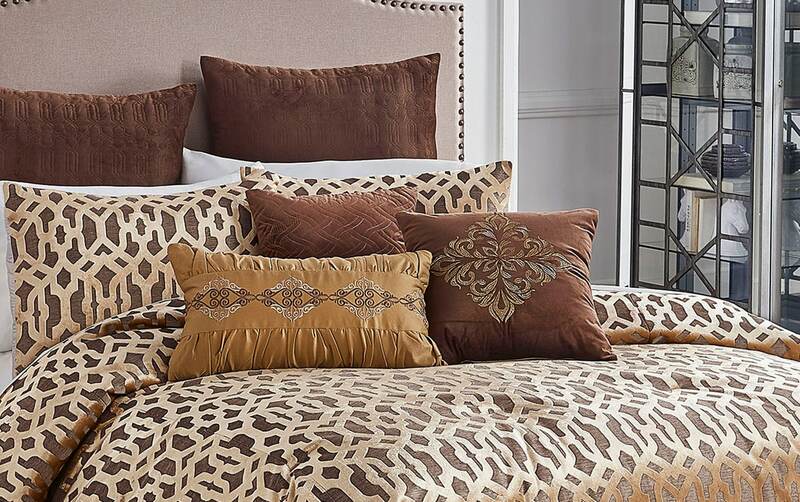 This polyester comforter set is covered in an elegant pattern of overlapping geometric shapes, brought to life by shades of rich brown and brilliant gold. It will instantly dress up any bedroom, adding the high-end look you've been searching for! The decorative pillows are simply a bonus, and will keep you comfy, too!